We saw lots of wildlife on this walk as well as man made items of interest. There were the usual multicoloured sheep, cute skittish foals, and belted and non-belted cattle. Although none of these animals were out of the ordinary we Blondes admired their sufferance at being out in the typical Dartmoor weather. What we did see that was out of the ordinary was 2 distinctly separate slithering serpentines (got to love a bit of sibilance!). We saw first a slow worm which was much too quick for us to take a photo of. He was small and very fast. Then the highlight of the wildlife spotting occured: an adder! They are very shy creatures and are not often seen on the moors. Once they know you are near they scurry off pretty sharpish but this one seemed to be in a bit of a daydream. She was in no hurry and sat for a good few minutes while we admired her (I think it was a female as she was more brown compared to the more grey male), photographed her and wondered why on earth she was out in the rain when she could be under cover of heather and purple moor grass in the dry! Eventually and in no hurry she slid off leaving us feeling amazed at how lucky we were to have been able to admire her for so long. A word of caution needs to be told here. 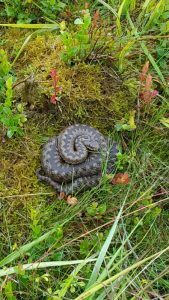 Adders are venomous and while there is not an abundance of stories of people being killed by English adders it needs to be borne in mind that their bite should be taken seriously. They usually only attack if they feel under threat so leaving them well alone will usually be all that is needed. If you do get bitten by one you should keep calm and still. Moving around will increase the flow of venom around your body. Ring or text 999 for medical assistance. 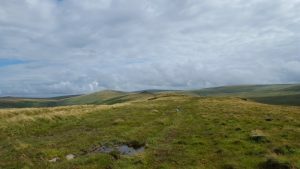 Remember that if you are in a remote part of the moors that might require anything other than a rescue by road, you should ask for the police who will coordinate the rescue. Do not administer any form of first aid. 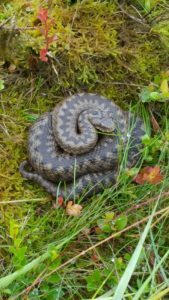 It is also worth pointing out that adders are a protected species and as such should be left alone. Must be a good year for reptiles. Seen three slow worms so far and one adder up on the Mendips ( quite common up there..but illusive). Also a lizard !! That’s a first for me in this country. Strangely enough I’ve seem far more tiny lizards than adders on Dartmoor. It’s always a highlight of the walk seeing any kind of unusual wildlife. There used to be lots of slow worms and common lizards on Branscombe cliffs in the fifties and sixties, but you hardly ever see one now. I put my foot down on some undergrowth on Mutters Moor, right by the side of an adder, though. I didn’t dare move the foot, but by the time I had edged my camera out of my pocket, the snake had vanished into the gorse and heather. There was a dog reported killed by an adder at Axminster this year. Reptiles may be more visible because insects are in short supply, and they are having to spend more time hunting in the open. Lucky escape with your adder incident! 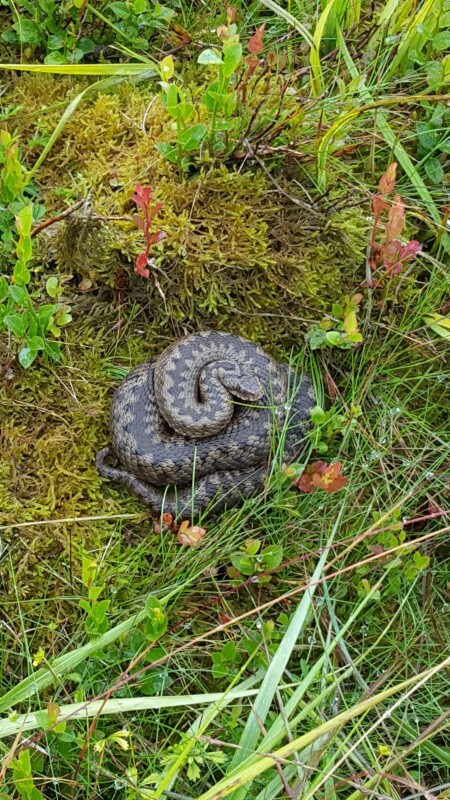 Thankfully there are very few reported cases of adder bites.